Trieste. It was my first real walk in Italian city. In fact, before that I have been once in Italy, but then I only passed transit through the country with stopover to Bergamo Airport in Milan. This time everything was different. 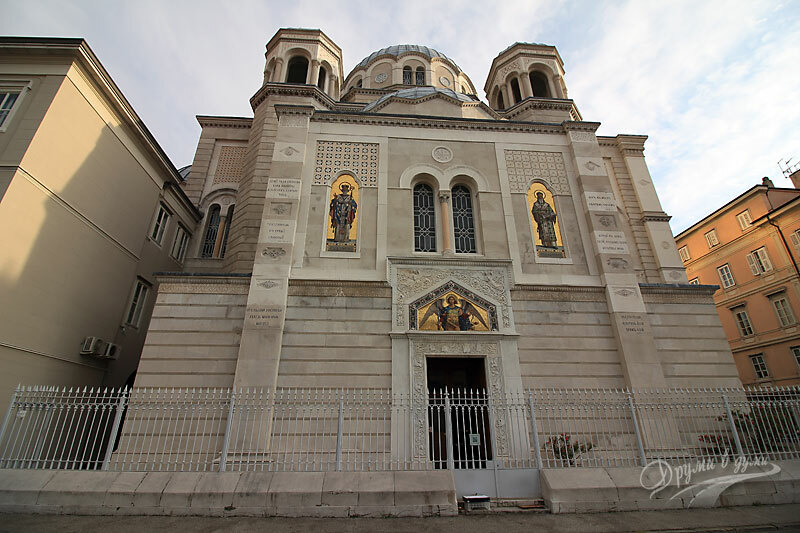 We traveled by car from the Bela Kraijna region, Slovenia, to Venice and we stopped in Trieste for a short break. We had in mind a few interesting places to visit, so we parked in the central part of a city and started to look for them. In the lines below I present all of the places we visited, but firstly, let me say a few general words about Trieste. The city of Trieste is located in the northeastern part of Italy. The city’s population is about 300 000 people. Trieste is a major port in the Gulf of Trieste. The town was founded in ancient times. During the second century it was conquered and colonized by the Roman Empire. After the Roman period it fell into the possession of different countries for more than a thousand years. At the end of 14th century Trieste became part of the Habsburg Monarchy. Later, in the 18-19th century Trieste became a free prosperous city, thanks to shipping, thriving at that time there. During this period Trieste turned into one of the most important cities of the Austrian Empire. In 1918 Trieste became part of the Kingdom of Italy. After the Second World War the city was capital of the free territory for a very short period of time. In 1954 Trieste was handed over to Italy. It was the first place we visited. 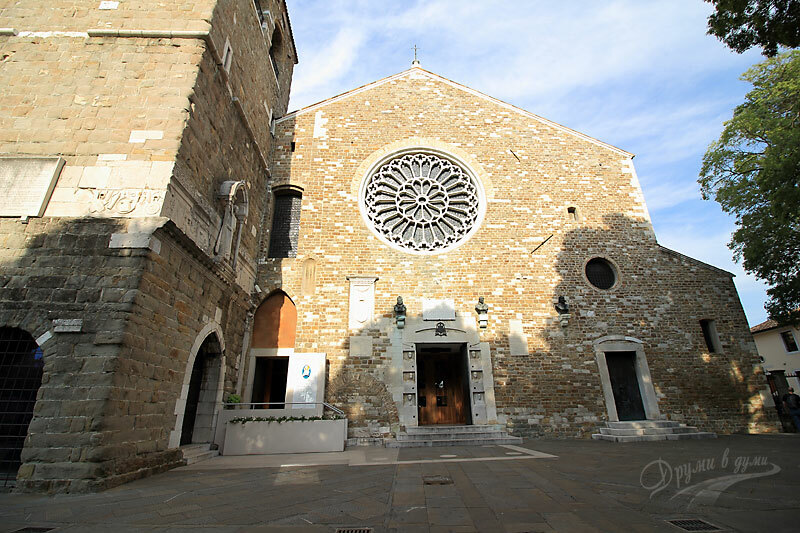 It is located in the central part of the city, at the foot of the hill San Giusto. 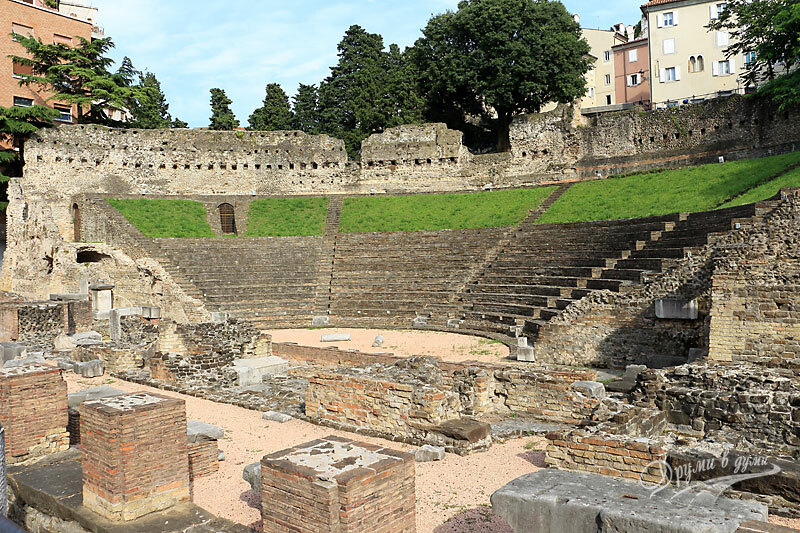 The amphitheater was built in the late first century, as the Pula Arena, and for a long time after that, this area was out of the city of Trieste. 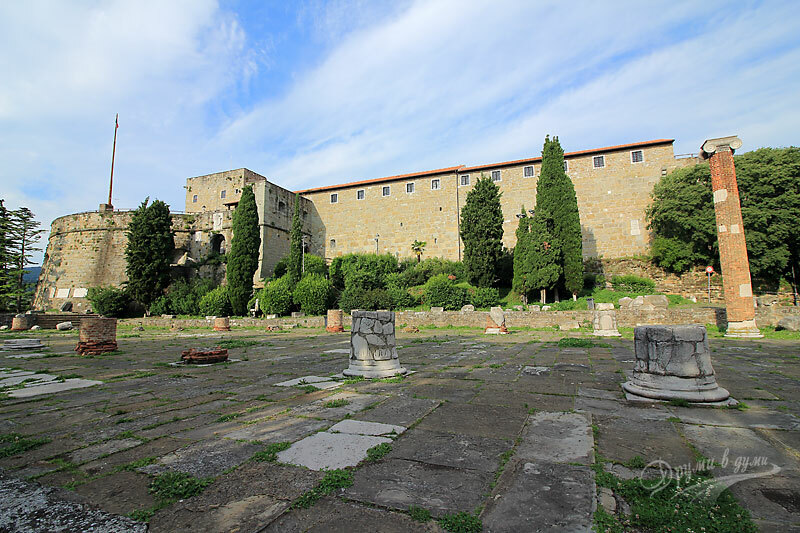 After we saw the amphitheater from all sides, we walked up the hills of San Giusto to the cathedral and the bastion. They both have the same name – San Giusto. It took us about 10 minutes to get to the top of the hill where these spots are. We managed to look around the cathedral – outside and inside, and the bastion – just outside, because in that late afternoon it had been closed just about a moment before our visit. Here, on the top of the hill San Giusto, we just felt for a while that as if we were in the Middle Ages. After the hill, we went down to the the central square, where we saw the City Hall and the Commodity Exchange. The square is huge and overlooks the sea. 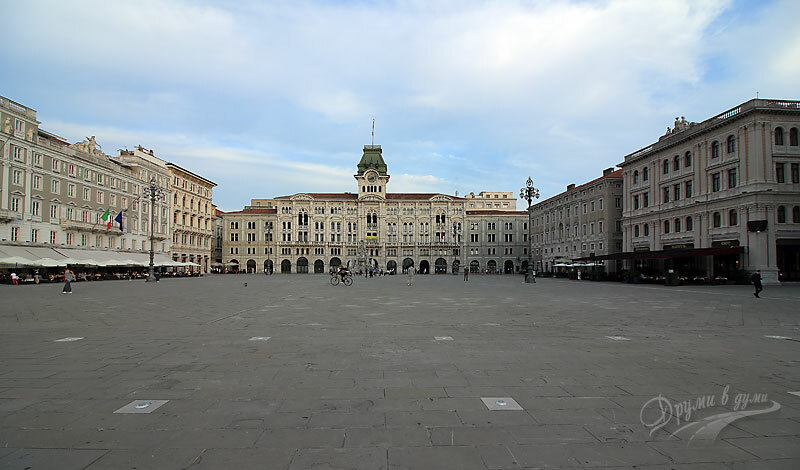 It is believed that the Piazza Unita is the largest European city’s square that is on the beach. Do you have some different information? I would be glad if you share. The curch is located at one of the streets around the square. We did not miss to visit it. I am sure you have heard about the famous Canal Grande in Venice, right? 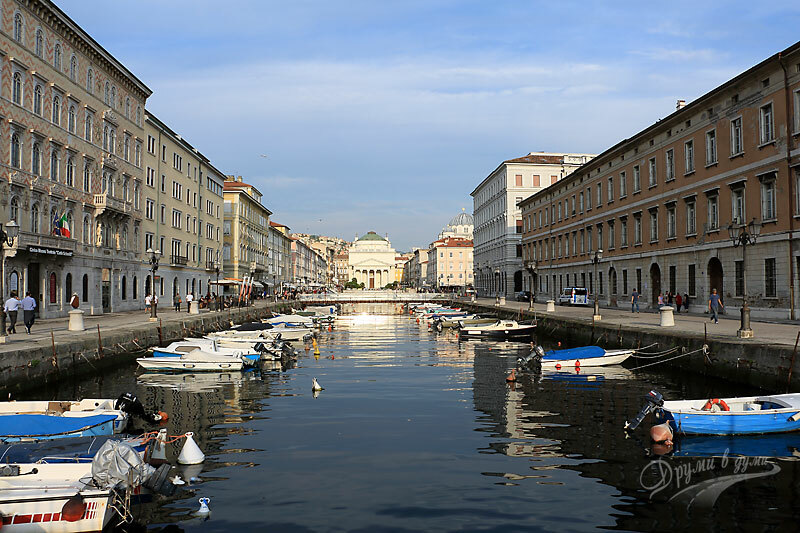 There is a Canal Grande in Trieste too. To be honest, it’s not as impressive as the Venetian, but it definitely worth seeing. 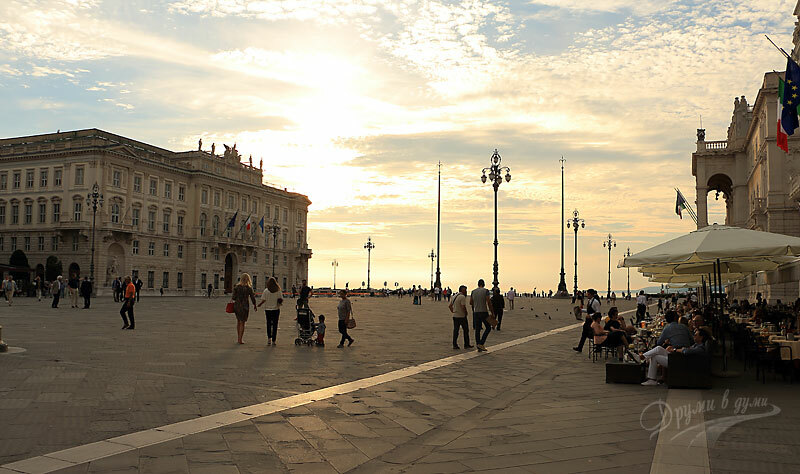 It is a waterway in the heart of the city to the sea, located very close to the main square Piazza Unita. For us, it was very nice to walk along the Canal. After the good tour along the Canal Grande, we finally reached the beach to enjoy the magnetic Adriatic sea. The sun was getting low, so we had to go to the car and continue further. We hoped to have enough time to visit the Miramare Castle. Unfortunately, we were late. So we had to left it for another day. We visited the castle on a return trip from Venice. The Miramare Castle is the most interesting landmark of Trieste, at least for me. 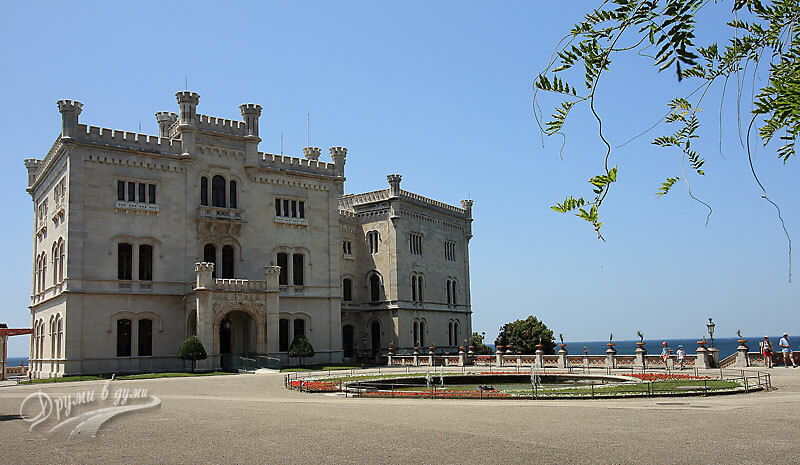 The castle is located in the northeastern suburbs of the city of Trieste, just on the beach. It was built in the middle of the 19th century as the residence of the Austrian aristocrat Ferdinand Maximilian and his Belgian wife, Charlotte. It is interesting to see the castle inside, as well as to walk in its beautiful gardens. 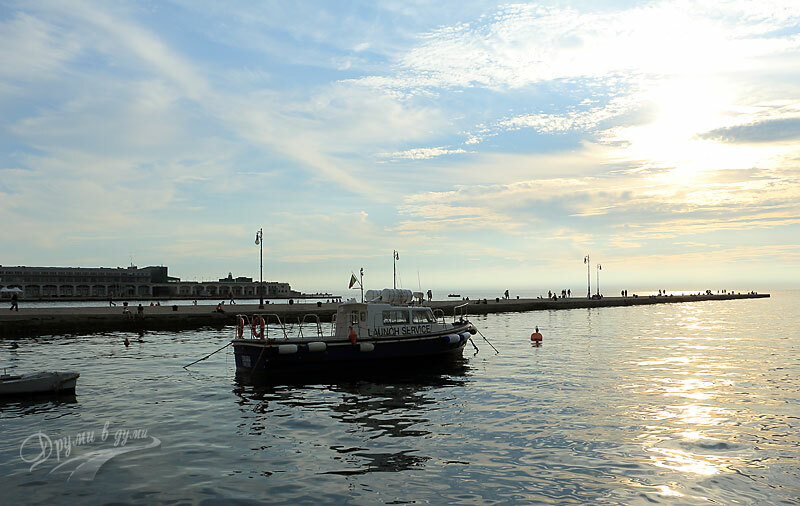 Useful information: The five places in the central city area of Trieste can be visited within an hour. 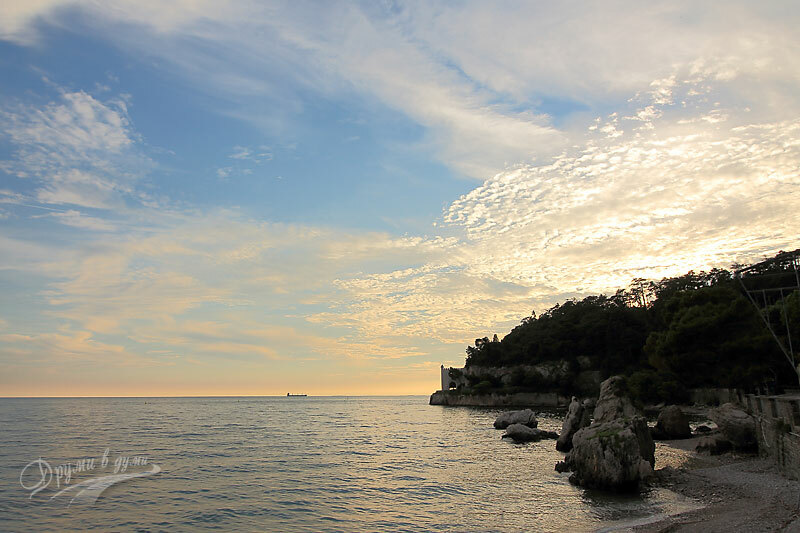 To visit the most interesting place in Trieste – the Miramare Castle – you should plan about 2 hours. In conclusion, I liked Trieste from the very first minutes. If you pass near by, I would recommend you to visit it.